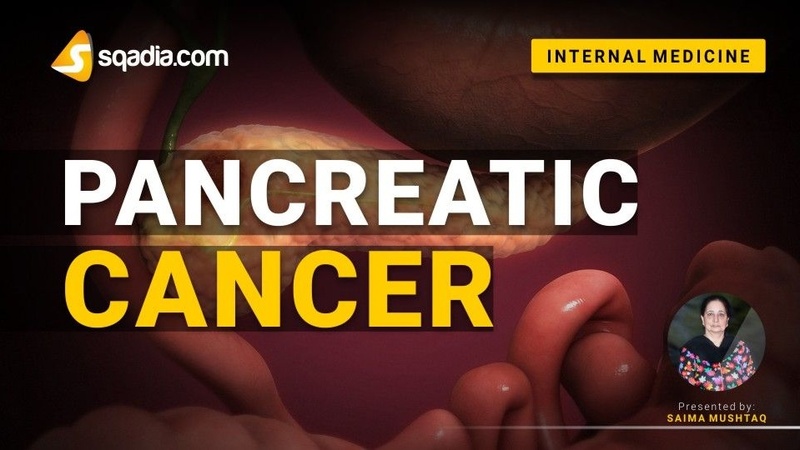 Pancreatic cancer begins in the tissues of pancreas. Risk factors associated with pancreatic cancer include cigarette smoking, history of diabetes, obesity. 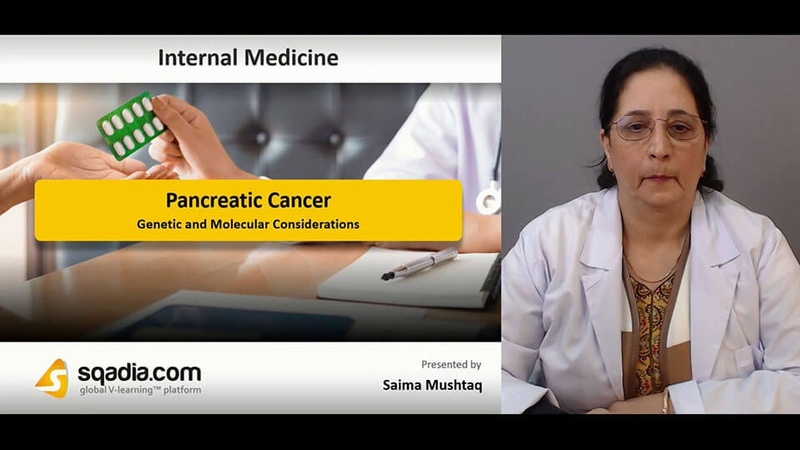 The four genes most commonly mutated or inactivated in pancreatic cancer are KRAS, the tumor-suppressor genes p16, p53, and SMAD4. Germline mutations in the following genes are associated with a significantly increased risk of pancreatic cancer and other cancers i.e. STK11 gene, BRCA2, p16/CDKN2A, PALB2, HMLH1 and MSH2, and ATM. Endoscopic ultrasound is a more promising screening tool. Main duct intraductal mucinous papillary neoplasms (IPMNS) are more likely to occur in older persons and have higher malignant potential than branched duct IPMNS. Mucinous cystic neoplasms (MCNS) are solitary lesions of the distal pancreas that do not communicate with the duct system. Clinically, obstructive jaundice occurs frequently when the cancer is located in the head of the pancreas. This may be accompanied by symptoms of abdominal discomfort, pruritus, lethargy, and weight loss. Patients of pancreatic cancer undergo imaging to confirm the presence of a tumor. Dual-phase, contrast-enhanced spiral CT and endoscopic retrograde cholangiopancreatography (ERCP) are useful for revealing pancreatic lesions. Percutaneous biopsy is only acceptable in patients with inoperable or metastatic disease. Preoperative CA19-9 levels of serum marker correlate with tumor stage, and postresection CA19-9 level has prognostic value. The information of the location and size of the tumor, the involvement of lymph nodes, and distant metastasis is combined to assign a stage. Patients with localized nonmetastatic disease are potentially suitable for surgical resection. Approx. 30% of patients have R1 resection following surgery. Those who undergo R0 resection and who receive adjuvant treatment have the best chance of cure. The standard surgical procedure is a pylorus-preserving pancreaticoduodenectomy. The use of gemcitabine after complete resection significantly delayed the development of recurrent disease compared with surgery alone. Patients who respond to chemotherapy have frequently been offered consolidation radiotherapy.